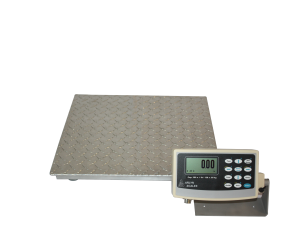 High quality scales are an important part of any industrial warehouse. Whether your facility is manufacturing pharmaceuticals, mixing metal alloys, or just needs an accurate scale for your shipping needs, you’ve likely looked all over for a scale that meets your needs. With so many options on the market today, it can be difficult to determine what you need in a scale and what you can possibly live without. At Arlyn Scales, we’re committed to helping you find a scale that not only meets your budgetary needs, but one that also has the necessary features that will serve your business for many years to come. At Arlyn Scales, we have over 30 years of experience manufacturing our scales and subassemblies in our state-of-the-art Long Island, NY factory. We’re constantly refining our processes to ensure that we’re delivering the highest quality products for our customers. Because we cater to all sorts of different industries, we’re able to offer a large line of scales that meets the needs of each of our customers. Different scale models require different materials to ensure they can hold up to the rigors of daily use. The majority of our scales used for warehouse purposes come standard with stainless steel load cells. Stainless steel load cells are much stronger than aluminum or steel load cells used by many of our competitors. In addition, by fabricating our stainless steel load cells in-house, we’ve developed load cell technology that is superior to other load cells. For further protection of our load cells, we recess them inside the platforms of our scales. This allows our load cells to remain protected and it also allows us to use lower-profile scale platforms for easier loading and unloading of materials. Should you need assistance loading or unloading materials, we also offer optional ramps. Zinc Galvanized Epoxy – This coating comes standard on all of our steel floor scales. Instead of a basic enamel paint offered by our competitors, our Zinc epoxy creates a layer on the scale platform, which makes it difficult for the scale to become scratched. If the scale does become scratched, which is bound to happen with any scale, the galvanized epoxy resin helps to contain the scratch and prevent rust and further damage to the scale platform. Triple Epoxy with Mica Particles – This coating is our most advanced epoxy and is only available on our stainless steel scales. It ensures that our stainless steel scales are extremely corrosion resistant. The base of this highly versatile epoxy is a polyamine epoxy that is resistant to many solvents and chemicals. We also mix in a garnet powder to help provide strong abrasion resistance. At Arlyn Scales, we understand the importance of not only having an accurate scale, but also having the ability to analyze weight readings in an instant. With our scales, you can instantly integrate a wide variety of connectivity options to further improve efficiencies within your warehouse. USB – Our customers use USB connectivity more so than any other connection type. Simply attach a USB drive from your computer to your scale and you can instantly access data and control your scale via our USB Remote Software. With a USB connection, you can easily export data into Access or Excel or use an additional utility we offer to access your data in a variety of Windows applications. Ethernet – With an Ethernet connection, you can truly open up the possibilities of accessing your scale data from literally anywhere. If your company has a Local Area Network, you can simply run an Ethernet cable from your scale to your network and instantly connect and control your scale. This gives you the ability to access your scale data from literally anywhere, as long as you have an active Internet connection. Datalogging – A large number of our customers may not have a computer or Ethernet connection within reach of their scale. In these instances, customers can simply plug a USB storage device directly into the scale and download weight data. Once you’ve downloaded all the pertinent weight data, you can take your USB storage device and attach it to a computer for further analysis. Set Point Controller – Our set point controller allows our users to enter weight values that can be used to trigger electric signals. These signals can then be used to control other pieces of warehouse equipment. A large number of our customers will use this type of functionality to automate loading and unloading of materials within their warehouses. We hope that we’ve opened your eyes up to the many features that are possible with an industrial warehouse scale. Should you have any additional questions about our line of warehouse scales don’t hesitate to contact us today. We look forward to hearing from you soon.